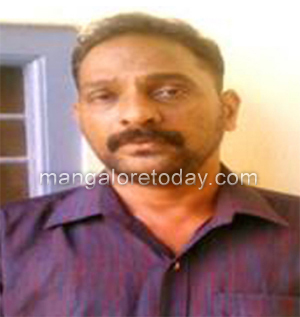 Mangaluru, July 4, 2015: A chain snatcher who had escaped with the gold chain of a person near the Town Hall in the city on July 1, Wednesday night has been trapped by the police near the KSRTC bus terminus on July 2, Thursday . It is learnt, the police acted on a tip off and arrested the accused named Edwin Dinesh Kumar. The snatched gold chain has been seized from him. The chain was snatched from him while he was walking on the pathway between Gandhi Park and Town Hall on Wednesday night at around 8.30 pm. The chain weighing 12 grams costed around Rs 28000. Ajay had immediately lodged a complaint with Mangaluru South Police who wasted no time in apprehending the chain snatcher the very next day. This is a common problem what the Manglorians are facing. The person caught in such cases should be strictly punished. Always the first thing we have to do is, we should lodge a complaint in the police station. It would be helpful for the police to trace the identity of the thief.Thanks to the Police done a wonderful job.